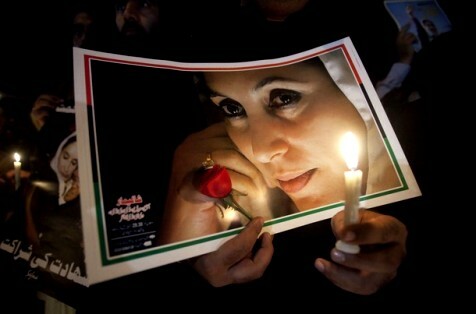 December 28, 2010 (KATAKAMI / AlbuquerquEexpress.Com) — A key witness of former Prime Minister Benazir Bhutto’s assassination probe left for the United States without taking permission from the Pakistan government. 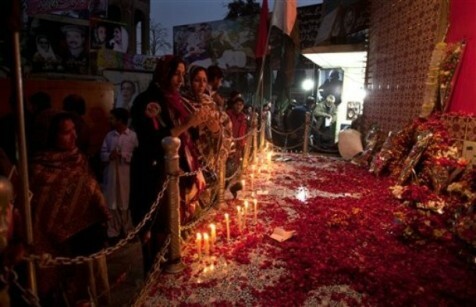 Dr Musadiq Khan was the principal of Rawalpindi Medical College, and examined the wounds of Benazir when brought to the general hospital on Decemeber 27, 2007, the Dawn reported. Secretary of the Punjab Health Department, Fawad Hassan said that the department received Musadiq’s leave application after his departure from the country, which was unacceptable. 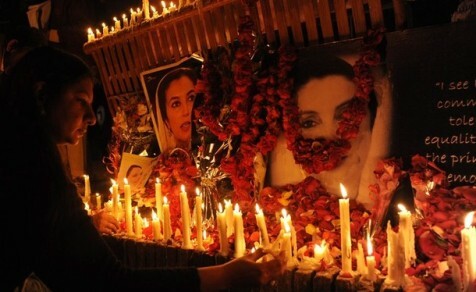 The case had been forwarded to the Punjab chief minister, the paper said. 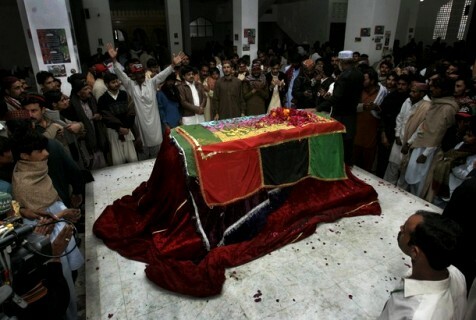 Dr Musadiq had claimed that the cause of Benazir’s death was the wound from the lever of vehicle’s sunroof rather than the bullet wound. December 28, 2010 (KATAKAMI / PRESIDENT.IR) — President Mahmoud Ahmadinejad said here on Tuesday that the Islamic Republic of Iran is ready to hold talks in Istanbul, Brasilia and Tehran with Group 5+1. 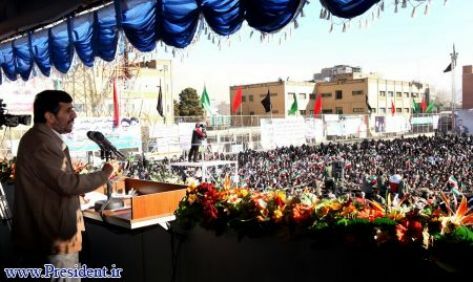 Addressing a gathering of people in the province of Alborz, President Ahmadinejad referred to messages sent by the G5+1 including Britain, the United States, France, Russia, China and Germany and said Tehran welcomes dialogue for cooperation. Dr.Ahmadinejad added that if they wish to open doors to cooperation, they should respect the Iranian nation’s rights. Pointing to Iran’s nuclear issue which has gone through ups and downs these years, Dr. Ahmadinejad referred to the fact that Iran has been under intense pressure and various sanctions one after the other to stop its peaceful nuclear activities. President Ahmadinejad underlined Now, Iran is a nuclear country and they are not capable of preventing it from gaining nuclear energy. President further added that world powers have two options in dealing with the Iranian nation, saying they can either go ahead with their previous path of issuing sanctions against the Islamic Republic or interact with the Islamic Republic. 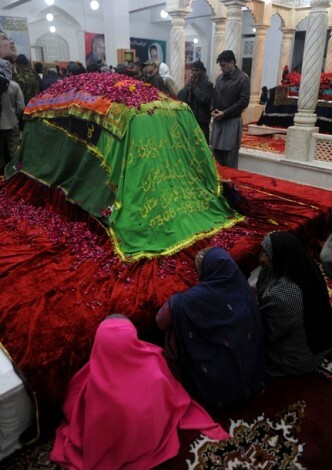 “The result of the first approach is already clear. It is not the right way,” he noted. President emphasized that cooperation and not confrontation is the only way to resolve Iran’s nuclear energy program. 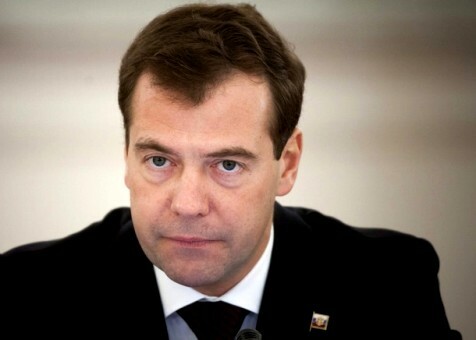 December 28, 2010(KATAKAMI / KREMLIN.RU) — Dmitry Medvedev issued instruction to Prosecutor General Yury Chaika to conduct and investigation into the operation of Moscow airports and companies involved to ensure that they fully comply with the legislation regulating air travel and passenger services. 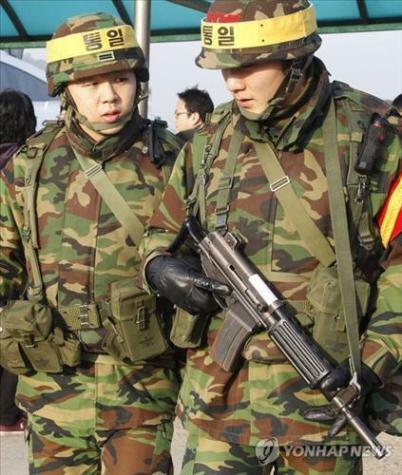 SEOUL, Dec. 28 (KATAKAMI / Yonhap) — Some of North Korean special forces stationed at the border with South Korea have dressed up in military uniforms with the same camouflage pattern as South Korean soldiers’ uniforms, a military source here said Tuesday. The North’s tactic, confirmed by the South’s military for the first time this year, is believed to be intended to effectively confuse South Korean troops as the special forces have held drills to hone their ability to infiltrate the South, the source said on condition of anonymity. “It was confirmed, for the first time this year, that North Korean troops at the front-line land border are wearing uniforms with the same woodland camouflage pattern (as South Korean troops),” the source said. 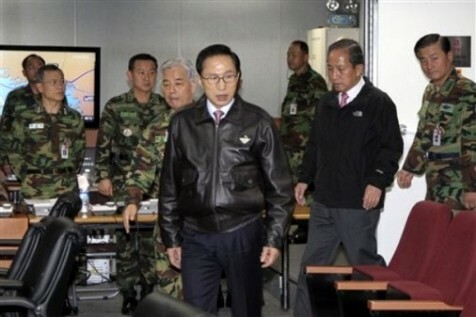 South Korea’s military has been developing a new combat uniform with digital camouflage since 2008. It has already been supplied to the South’s special warfare forces and will be distributed from next July to other troops. The South’s military is now considering distributing the new uniform earlier than scheduled, in line with the North’s move, the source said. The North is believed to have some 200,000 special forces, an 11 percent increase from two years earlier, according to data by the South’s defense ministry. 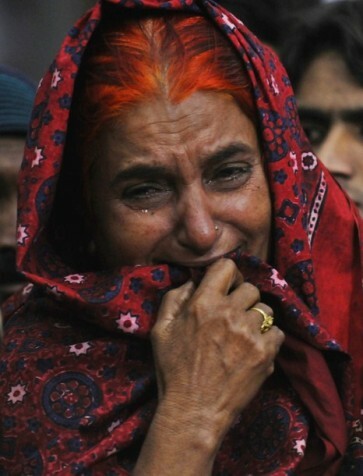 Of them, the North is believed to have completed deployment of some 50,000 troops along the border with the South. The North’s bolstering of its special warfare capabilities means that the country intends to send such troops deep into South Korea to conduct a variety of attacks in case of conflicts, defense ministry officials said. Tensions on the Korean Peninsula have remained acute following a series of military aggressions by the North, including the torpedo attack on a South Korean warship in March and the Nov. 23 shelling on a border island. SEOUL, Dec. 28 (KATAKAMI / Yonhap) — President Lee Myung-bak called Tuesday for “quick and bold” military reform, saying public misgivings about South Korea’s defense posture have deepened throughout this year. 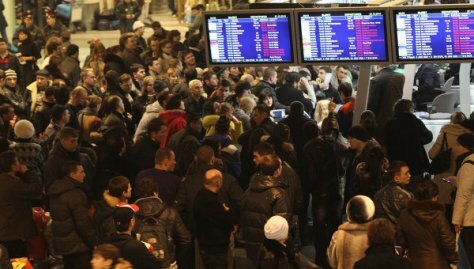 December 28, 2010 (KATAKAMI / RIA NOVOSTI) — Situation in two Moscow airports where thousands of people remain stranded due to weather anomalies remained tense on Monday. Severe freezing rain, which covered the entire territory of Central Russia over the weekend, has suspended many of the country’s daily activities, causing serious power outages and disrupting the operations of public transportation and airports. The delays were caused by power outages and ice at the Domodedovo airport and by de-icing aircraft at Sheremetyevo. 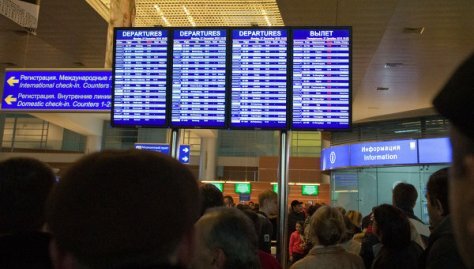 The association of Russian travel companies said flight delays affected more than 20,000 people. Some 7,000 of them are still waiting for their flights in Sheremetyevo. Electricity supplies, disrupted over the weekend in Moscow’s Domodedovo International Airport, head of the Russian Federal Air Transport Agency said on Tuesday. Two halls of Domodedovo, Moscow’s largest airport, remained without electricity or Internet access until early on Tuesday. “Forty minutes ago power supplies from the second substation resumed in full,” Rosaviatsia chief Alexander Neradko said. He added that the airport will be back on schedule in the next two or three days. The airport, which currently remains closed to all inbound flights, expects to serve up to 350 departing flights later on Tuesday, including 100 flights delayed on Sunday and Monday. Angry passengers in Sheremetyevo blocked entrance to the safety check area after their flight to Thailand was again postponed after a 24-hour delay. They drummed on the floor with their airport security trays to protest against the management’s negligence of the situation. “The situation is like that – people have no information, they are hungry and very, very angry,” a passenger from a delayed flight told RIA Novosti. According to most recent reports, protestors have already calmed down. 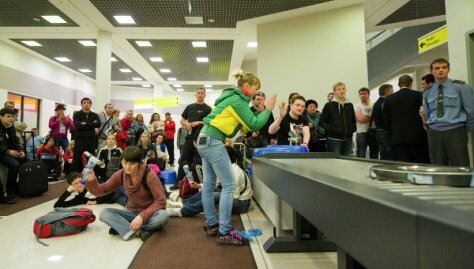 Passengers and police dismissed earlier reports of brawls in Domodedovo.